Another season of The Manchester Mid-Day Concerts is drawing to a close with the last concert on Thursday, 19th April. Whilst these observations are written towards the end of a memorable season of music, this is a useful moment to look back briefly at a couple of recent concerts in preparation for what is to come in the forthcoming season beginning later this year. The season runs from autumn to spring; concerts take place mid-week, with each performance lasting for about one hour, and in this current season they begin at 1.10 p.m. For those who may not know about these concerts, or have yet to enjoy what they have to offer, it is a chance to emphasise the wonderful opportunity they provide each year, during the season, for music of the highest quality. The Manchester Mid-Day Concerts are an important feature of the classical music scene in Manchester and have been for nearly a century. The Society started life in 1915 and is now one of the largest of its kind in the country. Essentially these concerts provide a platform for outstanding young musicians to gain ever more experience of public performance, an invaluable opportunity to perform for audiences at professional concert standard. It has major supporting bodies from the world of the Arts as well as a long collaborative link with the Musicians’ Benevolent Fund and The Young Classical Artists Trust - important organisations in the world of music with self-evident titles. There is a growing list of Friends of the Society and the concerts have a faithful following across all ages through individual and group bookings. Manchester’s own distinguished musical tradition is well represented at the Mid-Day Concerts with musicians from Chetham’s and the Royal Northern College of Music appearing. Past students of the RNCM were performing, on Wednesday 21st March, as the wind quintet Souza Winds, which is now a well-established and important wind quintet with growing reputations for its members. Musicians come from further afield as well. 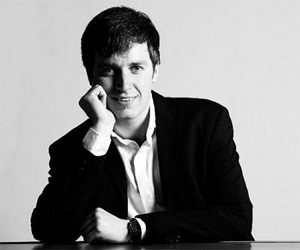 The week before, on Tuesday 13th March, the pianist Richard Uttley performed a number of pieces chosen from a wide range of musical periods; He studied at Cambridge with outstanding success before establishing an important reputation as a pianist and teacher of music after graduation. Certainly for those with a convenient lunchtime break during a busy working day, an early finish at lunchtime for the day, a visit to the city on a mid-weekday, or just a desire to listen to live music, this is a great opportunity to hear live performances by classical instrumentalists who are already established with solid reputations growing steadily. This season (2011/2012) the concerts take place weekly on Tuesday, Wednesday or Thursday and one needs to check the programme first. The atmosphere of the Bridgewater is welcoming and impressive; seating for these concerts is entirely in the stalls and there are no reservations. 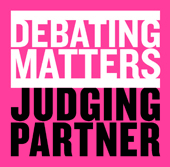 Usually one can turn up, buy a ticket at a very reasonable price, perhaps have a coffee or a meal beforehand or after the performance, and most importantly settle back for a varied programme. One can choose from a variety of performances over the season. One week may be devoted to strings and piano, another to a wind ensemble or solo guitar, trombone, saxophone, a quartet, voice and piano, piano soloist – there is something for most lovers of instrumental classical music during the season. There is then, of course, the music. Over a series a vast range of music is performed from Bach to Gershwin, Scarlatti to Britten, traditional to the most recent compositions, and everything in between. Performances in the Bridgewater Hall, the current venue for the Mid-Day Concerts, are always exhilarating with one of the finest sound-qualities of any concert hall. It is ideal for the small ensemble, the solo instrumentalist, as much as it is for the full concert orchestra. So it was on Tuesday 13th March with Richard Uttley at the piano. One of the great advantages of these concerts is that they enable the audience to appreciate the range of instruments seen in the full orchestra but here performing often to pieces specifically written for the instrument as a solo performance. The piano is, possibly, the most richly endowed instrument with music specifically written for it – a complete orchestra in itself with a range of pitch unequalled except by the organ. Richard Uttley studied music at Clare College, Cambridge, one of a number of colleges there with a strong musical tradition, and later the Guildhall School of Music and Drama. Clare has its own regular concert programmes and a growing list of distinguished instrumentalists, vocalists and conductors. Uttley demonstrated the importance of modern compositions for him in the Three Mazurkas Opus 27 by Thomas Adès, himself a graduate of King’s College, Cambridge. Adès has an ever growing reputation here and abroad for major compositions and the mazurkas played were premiered at Carnegie Hall in New York in 2010. The contrasting sharp patterning of the Adès Mazurkas beautifully fitted with the earlier Five Mazurkas, Op. 7, of Chopin. Adès runs across the whole of the keyboard and passages were played confidently by Richard Uttley just as earlier he had brought out the richness of Chopin with the chords sustaining the melody in the treble clef. Uttley illustrated sensitively the dance motif in the third of these Chopin pieces in F Minor and he moved effortlessly towards the final ‘unresolved’ note of the last Mazurka which yet seemed so totally natural almost as a final sigh. Yet in the later Adès Mazurkas, in contrast, it was possible to hear how well the tonal patterns flowed seamlessly from the immediately preceding work by Debussy. Here the Debussy (Images from Book I - Images, Première Série 1905) is musically so close to the Impressionist painters – creating textures and colours in sound from the opening gentle play of hands through the grand movement of the second section (‘Hommage à Rameau) to the quick tempo and flighty movement of the third. The whole programme began with the famous Partita No. 1 in B flat, BWV 825 by Bach (the date given as 1726) played beautifully by Richard Uttley. This performance, especially in the Fourth section (Sarabande) had strong echoes of the harpsichord tradition for which Bach composed so much music. One of the great advantages of playing at this level is that the Bridgewater gains an intimate atmosphere entirely appropriate to the solo or ensemble instruments performing. 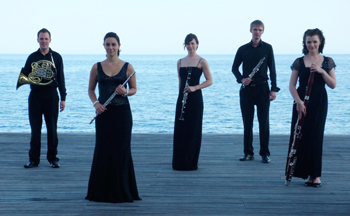 The following Wednesday, 21 March, saw the Souza Winds, a quintet formed in 2005 when the members were at the Royal Northern College of Music. The ensemble consists of flute (Carla Sousa), oboe (David Benfield), clarinet (Lucy Rugman), bassoon (Lucy Keyes) and horn (Jonathan Harris). Like Richard Uttley, they are already accomplished public performers as instrumentalists both as an ensemble and individually. Their sound is rich, well-balanced between the instruments and precise in tone. They had selected three relatively ‘modern’ works starting with a collection of short pieces, Trois Pièces Brèves, by the French composer Jacques Ibert (1890 – 1962), who worked to establish a personal style unencumbered by any simple category as a composer, a precursor in many ways of later composers. He worked with film, radio, orchestral and choral compositions and certainly in the performance at the Bridgewater one heard some beautifully melodious cadences. At one point in the third Allegro section there was a distinct echo of a medieval, even Elizabethan, quality of the hautboy with the richness of the oboe and supporting bassoon. Woodwind has that special quality of a haunting, plangent richness and this was much in evidence in the Souza Winds as the instruments ‘conversed’ with each other. The second selection from Samuel Barber (1910 – 1981) reminded us just how melodious Barber is. It was so easy to imagine in this music a ballet-type score as the wind conveyed the rhythms of a slow dance with the theme taken up by the clarinet leading effortlessly into a second element. In all this one can hear yet again the influence of the turn-of-the-century impressionist affinities that so influenced a number of twentieth century composers. Here, too, musical performance became almost like a musical painting unfolding with a palette of colours as different instruments both took up a central thread and then revealed their own particular qualities. Barber’s Summer Music, the title of the piece, revealed a gradual unfolding of languid impressions of a mood, a series of scenes, a landscape of water and light. It brought to mind just how far, in some ways, music has come from the days of medieval plainsong and, perhaps even more so, from the music of the baroque period, when beauty of shape, cadences and ornament embellishing a basic harmonic structure were of such importance almost as a form of intellectual delight. In Barber the creation of harmony to suggest mood and atmosphere is all important to evoke and convey feeling. 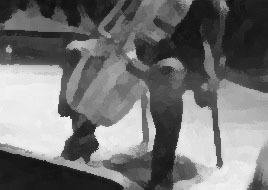 These concerts allow that kind of comparison over a period of weeks and months, providing opportunities to hear musical periods and genres in ways that encourage a widening appreciation of the development of musical traditions into the modern period with a focus on music specifically for individual instruments over time. Carl Nielsen’s Wind Quintet, Opus No. 4 in its very title indicates how richly varied and suggestive wind instruments are on their own and in harmony and unison, without the strings as accompaniment. Nielsen focuses upon the individual characteristics of each instrument in turn, sometimes paired. We heard this, too, in the Barber selection. Nielsen’s work consists of three movements with a series of complex variations in the final section with the individual wind instruments given play upon the variations. It comes as no surprise that he was working upon the theme of another of his own compositions, Min Jesus, Lad Mit Hjerte Faa (My Jesus, make my heart to love thee), a beautiful choral work, when he composed the variations in the final section. The variety of these concerts taken together offers a great choice. In just the two separate concerts above it was possible to hear music that included the baroque richness and discipline of Bach, the beauty of Chopin, the modern excitement of Adès as he develops his original compositions, and the splendour of some of the best of twentieth century ‘impressionist’ musical writing. Not least it was possible to hear performers with considerable skill and with reputations that can only grow. Stated simply, if you love music, want to hear some of the best of young, contemporary, accomplished musicians, or want to find out more about music by enjoying a choice from a vast range of periods and composers, this is a splendid way to spend a mid-day. For anyone interested in a mid-day musical break with a distinctive quality further details can be obtained from www.manchester-mid-days.co.uk. The Bridgewater Hall has the brochures for these concerts in their foyer.